It's Smiley's Birthday! Enjoy 99-cent Kids' Meals! Smiley’s Birthday is here, which means it’s time to party with 99-cent kids’ meals*, now through June 30th. Plus, all kids who visit during his party will receive a special Smiley treat bag containing a Smiley tattoo, sticker, wristband, and their choice of apple, mini Smiley Cookie, or Smiley Cookie! We’ve also brought back our Stay Active Coloring Contest! Stop in to any Eat’n Park to get a coloring sheet, where kids can illustrate how they like to stay active. One winner from every restaurant will receive a Backyard Activity Kit, filled with all the makings of a fun, active summer – a basketball, jump rope, chalk, soccer ball, hula hoop, wiffle ball and bat, football, Frisbee, beach ball, and sunscreen. Plus, one lucky grand prize winner will take home four Smiley bikes, so the whole family can stay active together. Smiley will also be celebrating his birthday with various friends and events around the city. 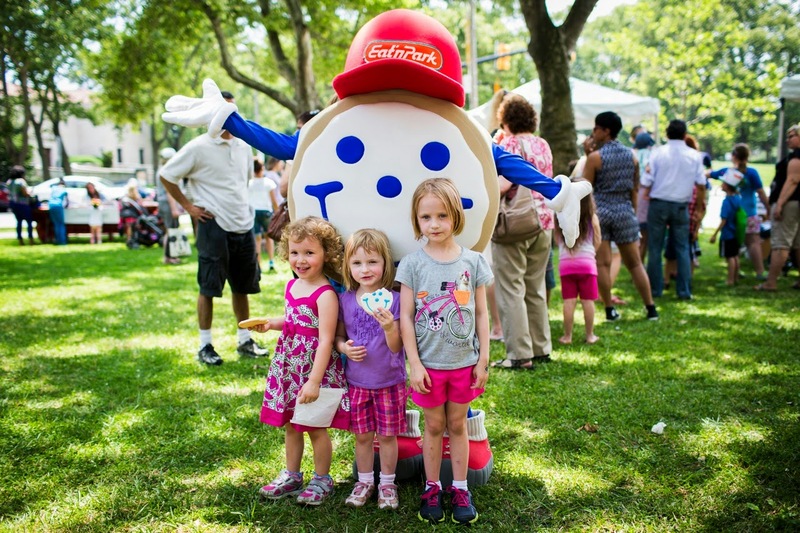 On Sunday, June 8, Smiley will be attending the Carnegie Library Reading Extravaganza. In addition to cookie decorating, at 2:45 p.m., Smiley will don a party hat and join the children on the front stairs of the library for complimentary birthday cake and a birthday sing-along! He’ll also be spending time at the Pittsburgh Zoo during Eat’n Park Family Week, June 14 – June 22 and making appearances at the Carnegie Science Center on June 15 and the 22. You can also stop in to your local Eat’n Park for a coupon to the Pittsburgh Children’s Museum! 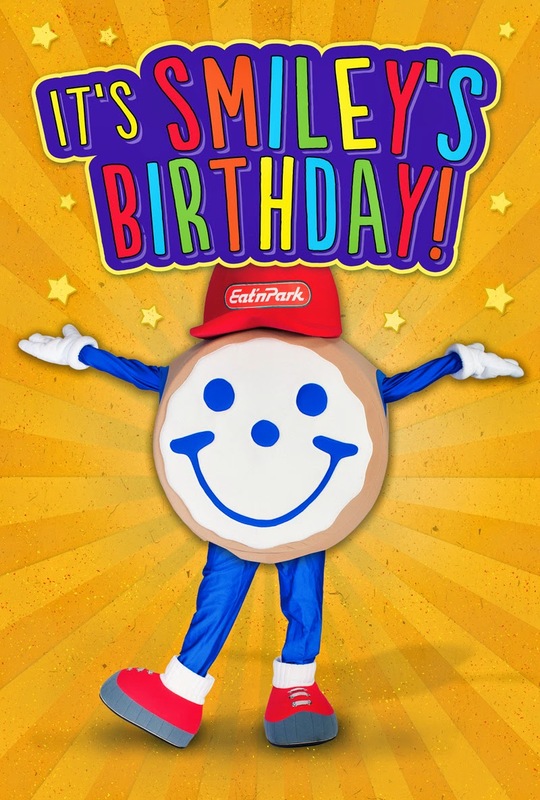 And last, but certainly not least, Smiley will be making birthday appearances at many of our locations - just click here to see if and when he’ll be visiting YOUR Eat’n Park. Kids can personally wish Smiley a happy birthday, as well as decorate their very own Smiley Cookie. Smiley’s Birthday ends on Monday, June 30, 2014. Fun in the Sun Smiley Merchandise! Meet Our 2014 Team Smiley!